On our most recent trip to the battlefield we walked part of the West Woods Trail, mostly to see the most unique monument on the battlefield – that for the 15th Massachusetts Volunteer Infantry. One of my favorites. 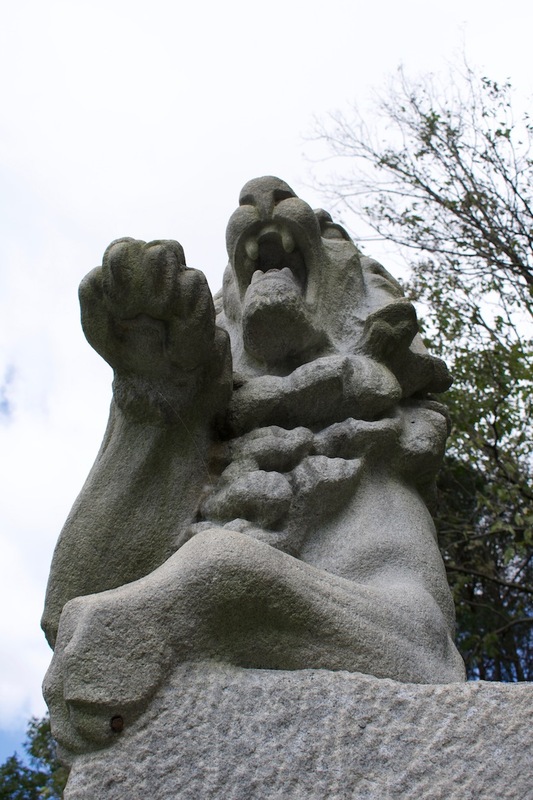 There’s been a lot of interest in this lion online lately, at least in the places I go, but nothing about its maker. I was inspired to look into the sculptor by the “signature block” he left on the slab under the lion’s left front paw. Andrew O’Connor was born at his mother’s parents’ home in Lanarkshire, Scotland in 1846, and returned to the family home in County Cavan, Ireland soon after. Due to the effects of the potato famine and lack of opportunity in Ireland, his parents Jeane and Owen emigrated with young Andrew to America in 1850, settling in Providence, RI. Andrew was educated in the public schools there, worked at the Providence Art School, and was an apprentice marble cutter. In 1872, about age 26, he moved to Worcester, MA and married. His first son, Andrew, Junior, was born in 1874. While still cutting marble, Andrew was determined to be a sculptor, and from 1877 to 1879 studied sculpture in Florence, Italy. 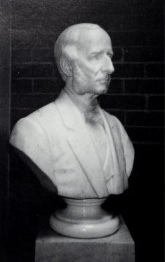 He returned to Worcester and listed himself as a sculptor there for the first time in 1880, though he was still employed as a marble cutter to pay the bills. He worked in Lowell for three years in this period, then returned to Worcester. 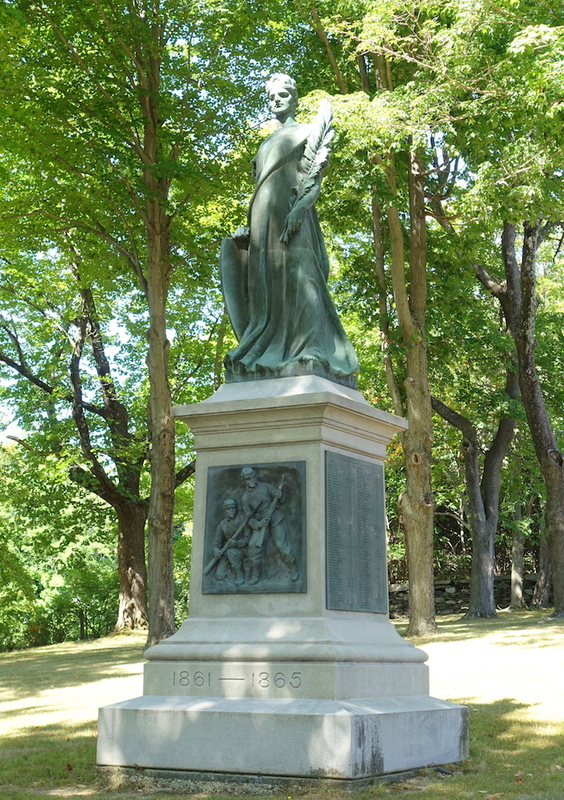 In 1886 he opened his own studio in Worcester and delivered his first monumental commission, a statue of a Puritian for the local city park, in 1889. By 1893 he was busy with cemetery monuments and busts of notable Worcester residents, and about 1897 bought a modest house and studio (garage) just outside Worcester in the small town of Holden, MA. By that time his son Andrew, Jr. was also making a name for himself as a sculptor in New York City. 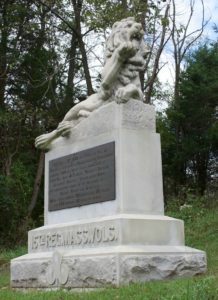 In 1898 Andrew, Sr. was approached by veterans of the 15th Massachusetts Infantry to do a memorial to the regiment to be placed on the battlefield of Antietam. 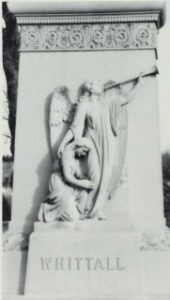 He had previously designed the one for them at Gettysburg (1886). His Antietam design, probably at the suggestion of Captain J. Evarts Green, was of a “wounded lion” in granite. 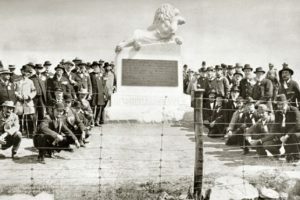 On 17 September 1900 it was dedicated and its plot of land turned over to General Ezra Carman on behalf of the US Government. 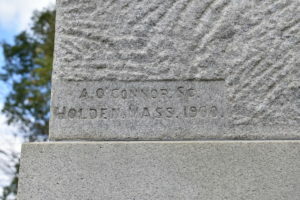 O’Connor had other, similar commissions, like the Civil War Memorial in Spencer, Massachusetts, and then moved to Paris about 1907, where his increasingly famous son was working. He returned to Holden in 1912 and continued to work on cemetery memorials and similar sculpture. He made a vacation trip to Italy and France in 1924, but returned to Holden very ill, legs paralyzed, by June of that year. He died on 22 July, age 78. He was buried at Hope Cemetery. 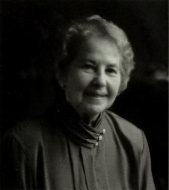 Most of the details of the life of Andrew O’Connor, Senior, and samples of his work, are from The Sculptors O’Connor (1995) by Doris Flodin Soderman, available for check-out from the Internet Archive. 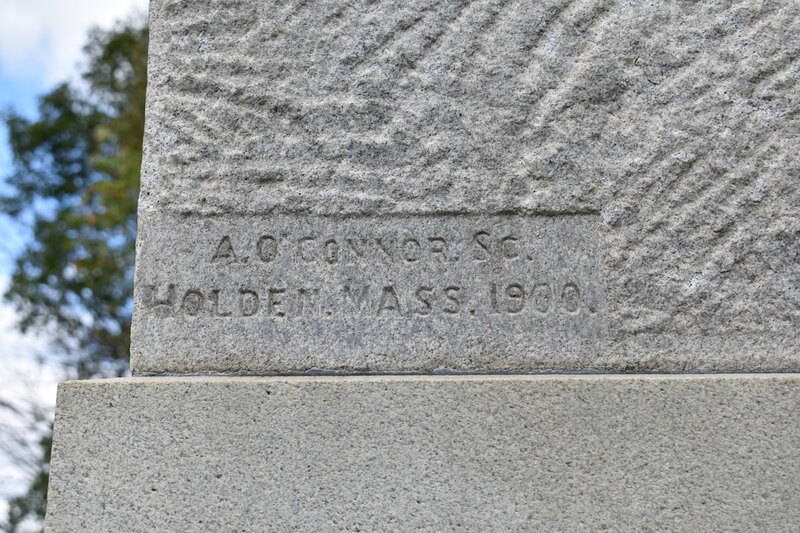 Additional details are from an article about the dedication of the monument in the Boston Herald for 19 September 1900, posted on the Civil War Talk group in 2016 by John Hartwell. The picture of the veterans at the 1900 dedication is from the Antietam National Battlefield collection. 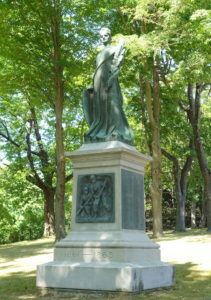 Andrew O’Connor, Jr. (1874-1941) is today the far better known of the Sculptors O’Connor. In addition to his father, he worked with painter John Singer Sargent, architects McKim, Mead and White, and sculptors Daniel Chester French and Augustus Saint-Gaudens, among others, in a golden age of American art. His monumental and other large public works are found all over the US, in Ireland, England, Spain, and France. 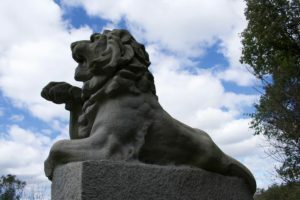 The Lion’s fangs are bared, and his paw is raised to defend the direction from whence the crushing counterattack came: To the South, to the Massachusetts 15th’s left flank. The Lion’s posture and placement tell the story. Such is Andrew O’Conner’s art.